La Bisbal is a double capital: it is the capital of the Baix Empordà region, as well as the pottery capital. It has earned this title thanks to the quality of its clay and its great tradition of craftsmanship. 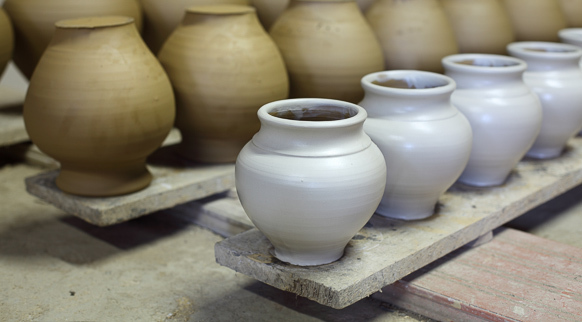 As soon as you get to La Bisbal, you will see how the town displays all the charms of the pottery makers. The streets become the shop windows for cooked clay articles and tiles, as well as for pottery for decoration and construction. Take your time to look around the numerous shops, most of which have their own workshop. Finally, there is also a museum dedicated to this activity which is —obviously— housed in the old pottery factory.